The Genesis Open will be an invitational beginning in 2020. "It's going to give us a week and an opportunity every single year to reflect upon this man's staggering accomplishments on the golf course and his staggering philanthropic contributions," Monahan said. 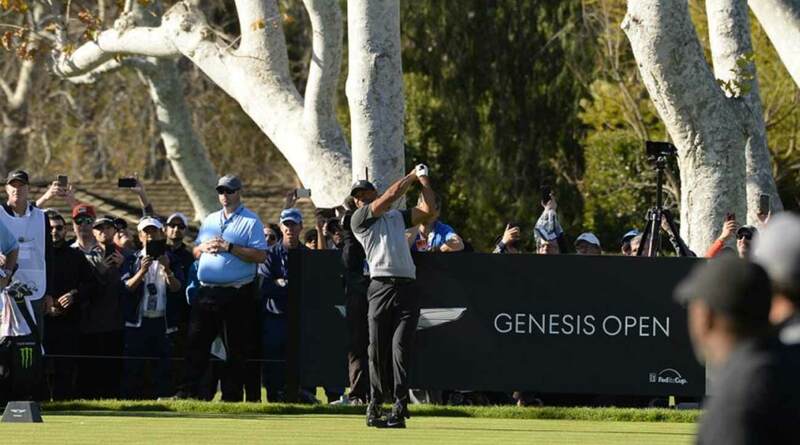 Woods and the TGR Foundation stepped in in 2017 to host and operate the Genesis Open. That relationship will now continue for the foreseeable future. "We're honored to be included in this category and to be able to have an opportunity with Genesis to be able to do something like this and to do it here where I grew up and to do it here where my career got started," Woods added. "We're just so excited about this opportunity to showcase what we've done as a foundation for over 20 years and this elevation status will certainly help that." Woods cited Monday's Celebrity Cup as one example of a "new and different" type of event he's hoping to create with TGR Live. Nick Jonas, Mark Wahlberg and Reggie Bush were among Monday's participants. But the connection to two of the sport's all-time greats clearly excited Woods as well. "To go alongside Jack and Arnold, I've been lucky enough to have won those two events, and for me it's been so special to be able to walk off those greens and see those two gentlemen there. To be able to have this event in that same breath as the two guys that I looked up to my entire playing career, it's just very special." Monahan quickly put the kibosh on any other tournament being similarly elevated anytime soon. "It's very simple," he said of requirements needed. "All you need to do as a player-host is to win 60 times on the PGA Tour. And if you can find someone that can do that, we're open to the conversation. But in all seriousness, that is the criteria that got us to this position, and that's what makes it so special." As the press conference wrapped, Monahan asked for the mic one more time to reiterate his excitement for the event's future. "I would invite you to find any other athlete on this planet who has done as much for young people as Tiger Woods," he concluded.